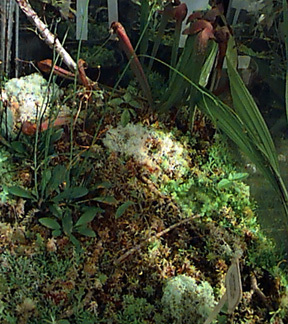 Aloe in an arid habitat & a sphagnum bog in an acidic water habitat have some survival issues in common! Use the links on this page to connect to useful Web pages for your news and information. You can click on any link to connect to the internet. Species please? An Internet guide to the fellow travelers of plants, animals, fungi, and microbes on spaceship earth. USA based Center for Environmental Information to use for searching out current topics. Curious Pictures: provided by Joseph Siry a "movable visual feast." SEARCH ENGINE called YAHOO? going on the internet where you want or need to be going. SEARCH ENGINE called LYCOS? another source of information about internet topics to look up. SEARCH ENGINE called ALTAVISTA? Yet another source of information about internet topics to look up. Centers for Disease Control (CDC) morbidity advice: compendium of health-related details for the intelligent person. Netcast: weather forecasts from National Oceanic and Atmostpheric Administration (NOAA) covering U.S., Canada, and some international cities. TECHNOLOGY FOR COMPREHENDING YOUR WORLD. Can NASA really see the world better than I can? from Prentice Hall: Nebel, Environmental Science textbook. An excellent site for searching the web for reliable news. Last Updated on 3/15/03 . &COPY; 2001-1998 Joseph Siry. All rights reserved.